Incire is a technique of following a template to cut out triangles, paper slitting and other shapes on double sided paper. 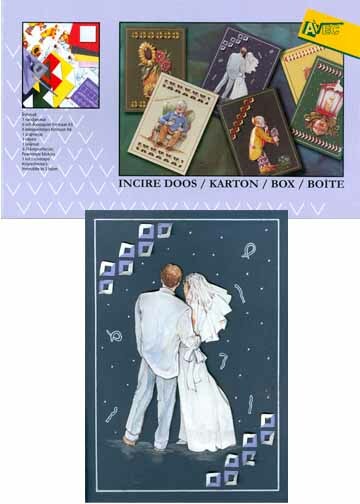 These are then folded up or down to create a very unique look and border for cards. 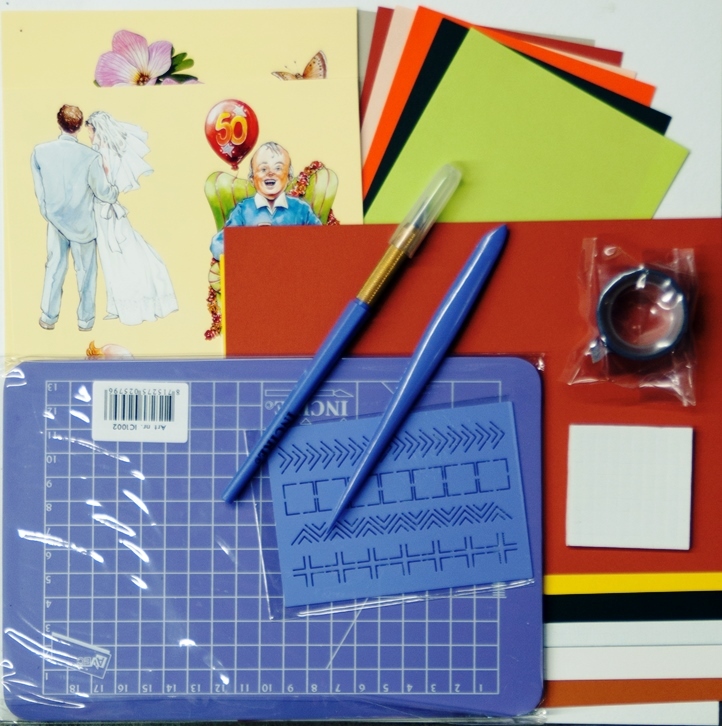 This kit contains the instruction sheets, metal Incire cutting template,knife,pad,3 - D images, duo paper, cardstock and more to create the many card projects. Note: 3D images are not pare - cut.